On the highest hill in our valley stands the little red Nikkaluokta Mountain Chapel. 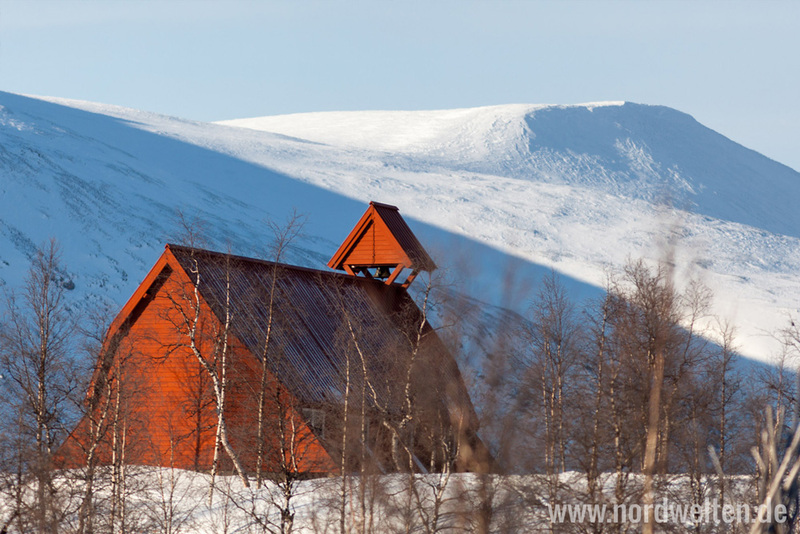 The chapel was built on an initiative from “The Lappland Mountain Men Club”. They wanted to show appreciation for what the mountains and the people here had given them. Cyrillus Johansson was contracted as architect and he designed a building with distinct Sámi features that could withstand hard winter storms. It was ready and opened August 16, 1942. The chapel is very popular for sermons, baptizing and weddings. We often arrange confirmation camps in Nikkaluokta when we use the chapel. Ask for more information about the chapel. You can also borrow the key to the chapel from us.